In Stock. 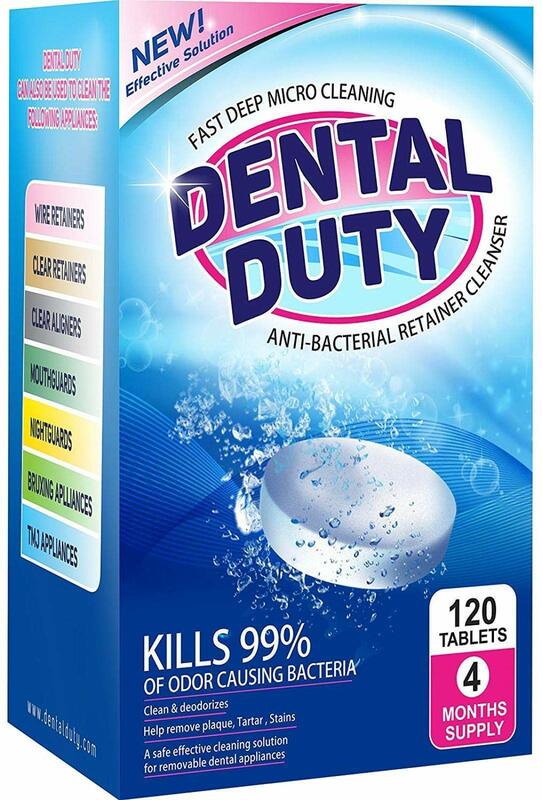 Sold by J&S Dental Lab and Fulfilled by Amazon. Gift-wrap available. SATISFACTION GUARANTEE: 100% money back guarantee and unlimited free adjustments; we'll do whatever it takes to make you a delighted customer! 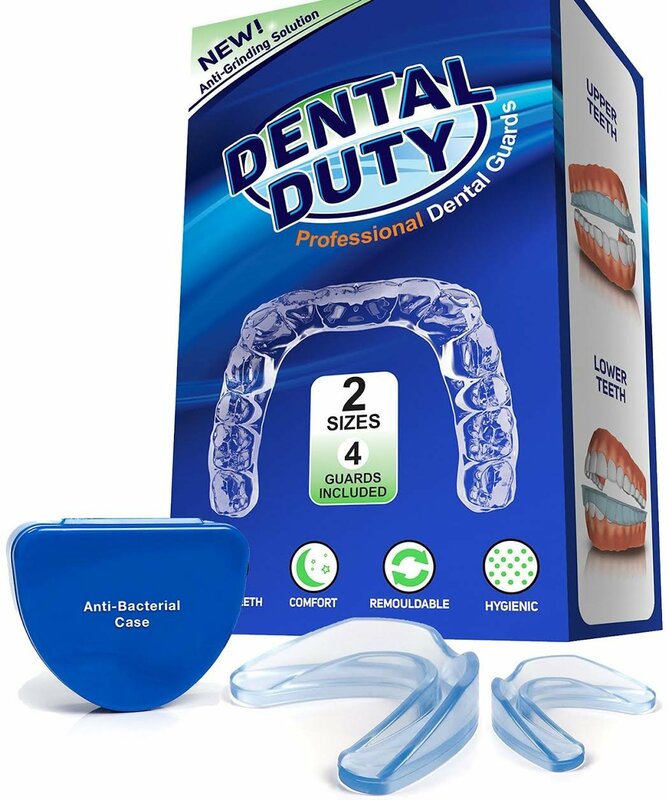 Sold by J&S Dental Lab and ships from Amazon Fulfillment. Sold by Dental Duty and ships from Amazon Fulfillment. 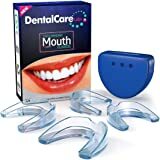 Professional Mouth Guard For Teeth Grinding | Guards Eliminate Bruxism, And Teeth Clenching | Night Guard For Sleep| Includes Retainer Case, And Fitting Instruction. 2-Size, 4 Pieces. 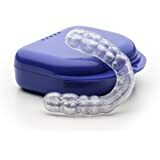 Bruxism, also known as grinding and/or clenching of your teeth, can lead to long-term damage. Over the counter boil guards may seem cheaper, but it'll cost you more in the long run AND you'll have to compromise the fit and comfort. 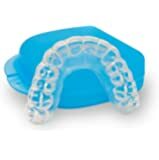 You can also buy a high quality custom-made night guard from your dentist but you'll end up paying much more! 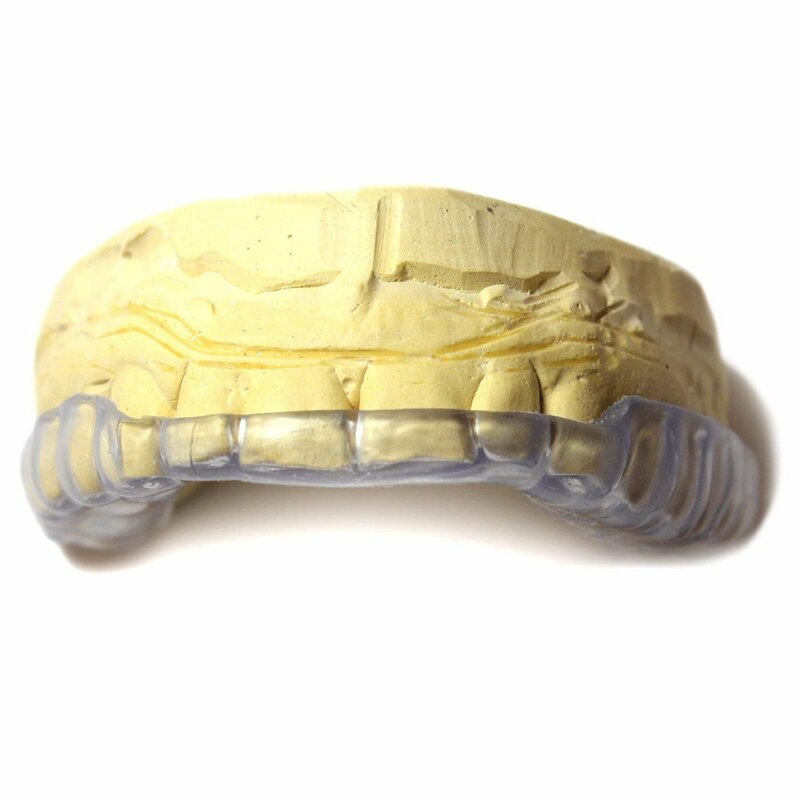 Through us, you can order direct from a professional dental lab and receive the same quality custom night guard as you would from a dentist but for only a fraction of the cost. Although we can meet the needs of most people who grind and clench, you should consult your dentist or a specialist if you have serious TMJ or dental issues. 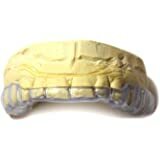 Please also note everything about our guard is customizable including the thickness and the material used. Whether you want a soft, hybrid, hard guard, or a thinner or thicker guard, we can customize it just for you completely free of charge. 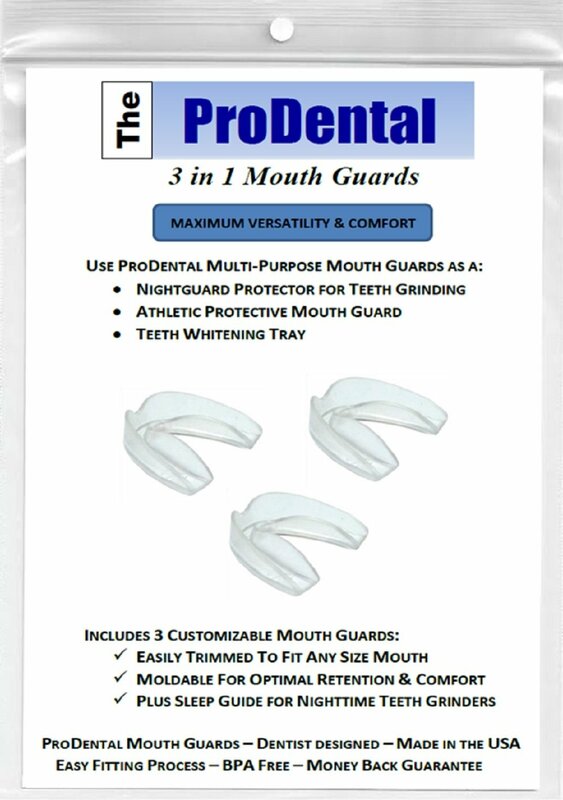 Once you order from us, you will receive an impression kit with 3 different sizes of mouth trays to choose from. Our simple impression process can be performed at the comfort of your own home in about 5 minutes! Simply follow the detailed instruction provided in your impression kit, and then kindly send your impression back with our prepaid shipping label. In no time, you'll receive your custom night guard at your doorstep! 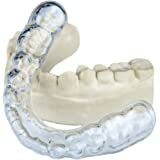 This is NOT a mandibular advancement device designed to reposition the jaw or treat snoring or obstructive sleep apnea. 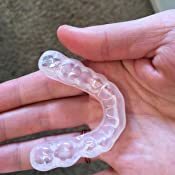 The night guard that I had made by my dentist (for my top teeth) no longer fit correctly due to a couple crowns that changed the topography of my teeth. 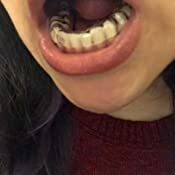 I wasn't looking forward to getting another one due to the high cost, and because I never really liked it in the first place - it felt a bit too large, would trigger my gag reflex sometimes, and would wake me up at night if my bottom teeth bumped against it. 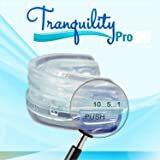 I was a bit wary to buy a dental product off of Amazon, but the overwhelmingly positive reviews swayed me, as well as the much lower cost. I chose a Lower mouth guard this time, and a softer material. The impression process was easy to understand and perform, the ordering process was simple, and I love the final product - it is much more comfortable to wear, it doesn't even get close to triggering my gag reflex, it feels like it fits my mouth better, and it doesn't wake me up at night. I also think it is doing a better job of decreasing my teeth-grinding. 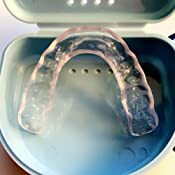 Since receiving it in April, I have worn it almost every night, which I could not say for my previous, expensive dentist-made mouth guard. I don't have anything negative to share about this purchase - the best money I have spent this year! - but I will update the review if I have anything negative to share as time passes. 5.0 out of 5 starsDental hygienist recommend. 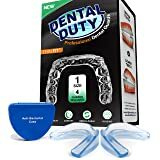 As a long-time RDH, I can tell you this is both a fantastic product and the solution to the financial burden of dental custom-made mouth guards. I work independently so no longer have access to practice discounts. 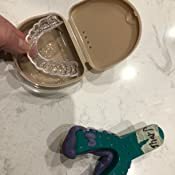 My previous mouth guard cost $500 and was recently lost during travel. 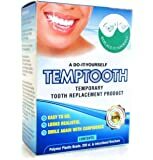 I bought an OTC gaurd, (Oral-B, which, if you’ve never worn a gaurd is the best solution to determine if it’s for you at a low cost and fine results. Very few insurers cover guards.) which while fine wasn’t what I wanted. I was amazed to discover J&S lab on Amazon! 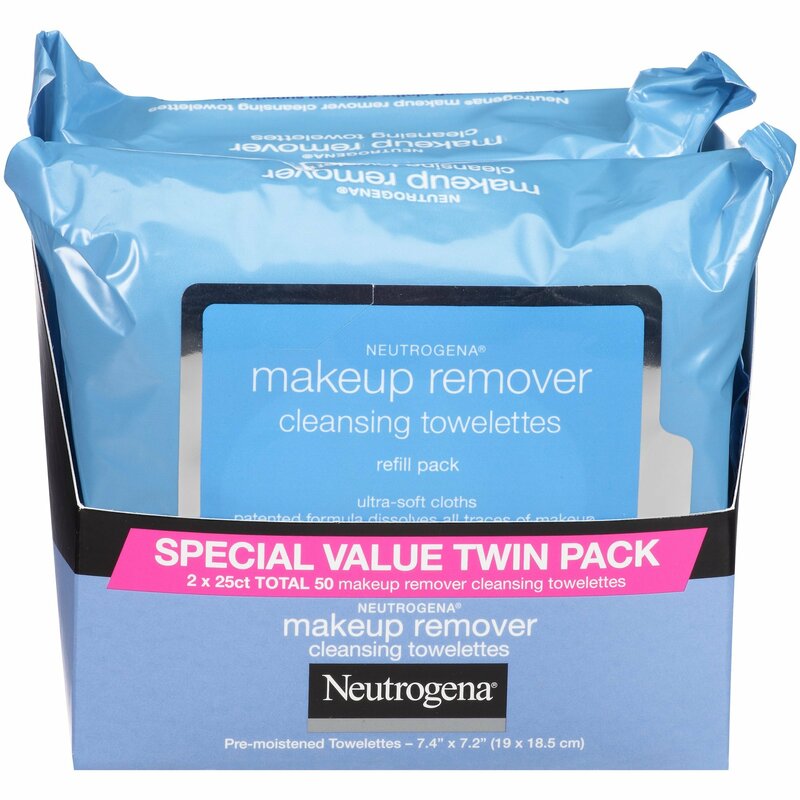 With well-written and easy to follow directions this proved to be a great solution at a fantastic price. 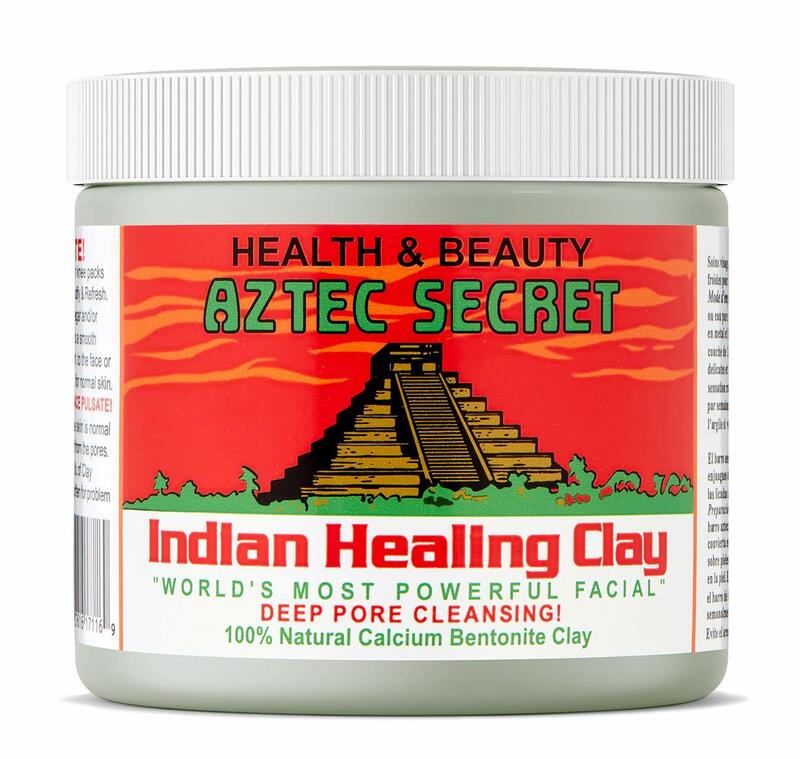 The impression is beyond easy to take and my results arrived within 10 days. I purchased a hard/soft durable gaurd with the approach it would require few to no adjustments and it fits perfectly. I requested a lower gaurd with some custom alterations and they were carried out flawlessly. I’ve since been recommending this service to patients. While I had no need for their customer service, I was given access to a name and number to call for assistance with the instructions or any other questions, plus J&S was in-touch via email through out the process. 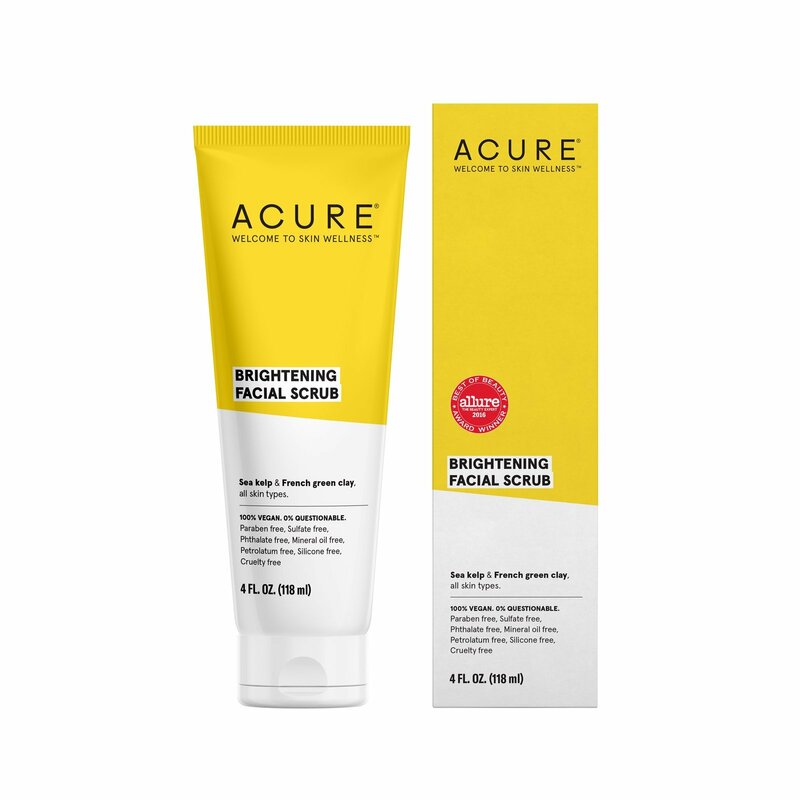 I couldn’t recommend this Lab and it’s product more. Impressive. I had a thin plastic guard for grinding and it got really gross so I ordered another through my dentist. It was thick and I could barely breathe, certainly couldn’t talk and I told them I did not want to take it home. They told me I’d still have to pay the outside lab fee that they’d paid out ($150) but they wouldn’t hold me to the $360 dental fee. I actually decided to switch dentists over this (as well as misdiagnosis of a cavity and mixing up my chart with another patient with a similar name). Even though this meant going outside of my insurance. They said it was a bad idea to not buy the guard! Aspen. The new dentist sounds great but was also going to charge $700 for a guard, and said the guard was a thick style also. Enter amazon. I order everything on amazon so why not this. I read the instructions through, did the impression which was easy, sent it away, and received a perfect guard days later. I have always had an upper guard. I got the lower day guard. It fit perfectly, immediately. They even sent my impression back so that if I want another all i have to do is re-send the impression to them. 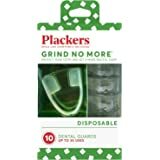 The day is plenty thick to use for night grinding yet thin enough I can talk and can probably use it to prevent myself from clenching, biting my lip and over-snacking during the day. All the 5-star reviews are for real. Yet another glowing review and major kudos for J&S Dental Lab!!!! My dentist was equally impressed by the fit/quality, price, and customer service and will be referring other patients who don't want to spend upwards of $500 for a guard done by his lab (likely one similar to J&S). Tom in customer service is OUTSTANDING, taking the impression was a breeze and took no more than 10 minutes (if that long) from start to to finish and I have my new lower mouth guard back exactly 7 days later!!!! UPDATE: Have been sleeping with it now for the past two weeks and I forget it's in my mouth. Fits perfectly, cannot be more comfortable and does the trick!!! So pleased with this whole experience! I've been grinding my teeth since the age of 7. 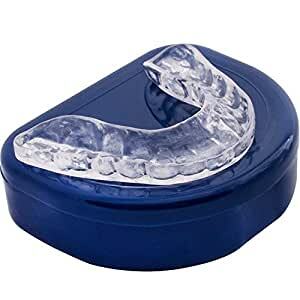 For the last 10 years I've been buying the drug store brand of mouth guards and while they helped, it was not a good fit. Often I'd wake up in the morning with the guard on my pillow. After reading all the reviews I decided to take the plunge. I found the instructions thorough (I did read them three times!) and the impression went off well. 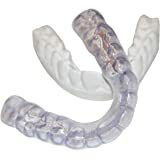 I received my lower mouth guard yesterday and was very pleased with the fit and found it stayed in my mouth all night and I awoke with no headache, which is always the norm. My dentist charged me $250 for the same thing that I chewed through in a month. I will definitely re-order. And by the way, the return of my custom guard arrived within a week from my mailing of the impression!